This is first Illustration file uploaded by us on our site, this is available in .Ai .Png and .Psd format, color can be changed and also the common question that "Is time Changeable ?" YES absolutely both the files are complete editable, there is space for adding your Brand name but before you open the file first you need to install the given font, if you don't have it. 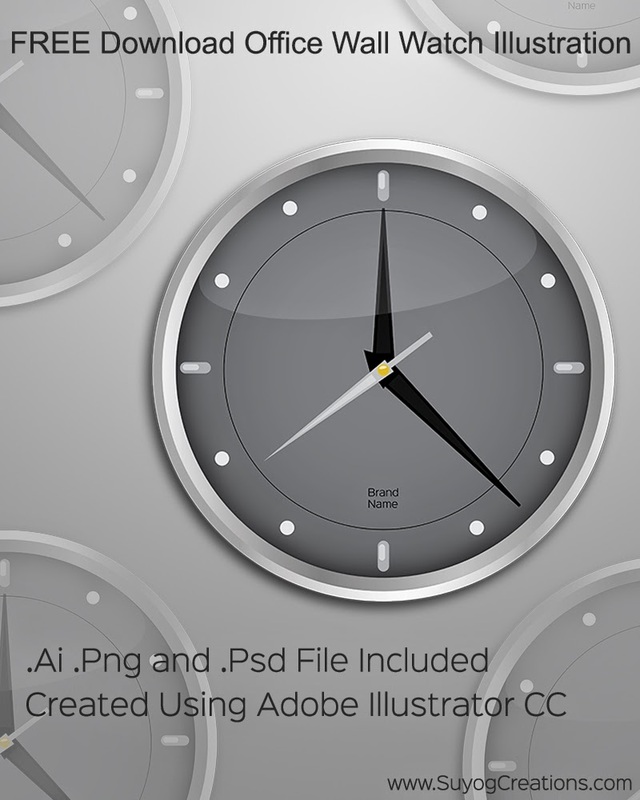 this Wall watch can be used for commercial purposes. Recommended : Shield Vector With Ribbon. Download D3dx9_26.dll missing file for NFS Most Wanted game for Free.